Good temp. Will buy from template monster in the future. Is perfect the use theme for portafolio. Clean fair color scheme is traditional for medical themes. High-end equipment is promoted in slider and banners. Content area is divided into Featured and New product sections. Categories and Specials blocks can be found in the left sidebar. Drop down menu and footer widgets make the navigation complete. 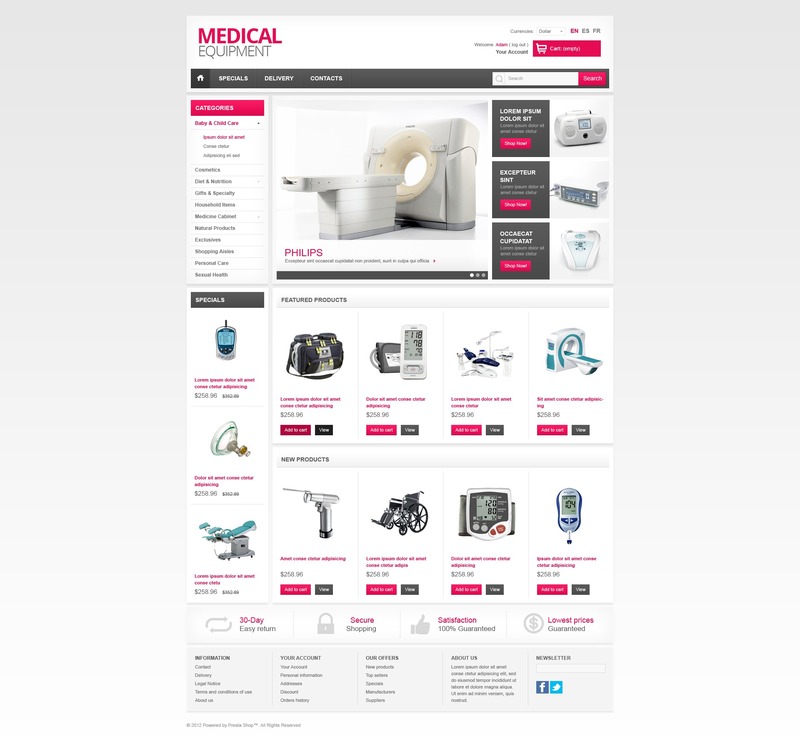 Use this theme for medical, healthcare, tools and equipment stores.